In this project, we began by building background knowledge of how a human is socialized. We studied the Cycle of Socialization and the factors that affect how a human is socialized. 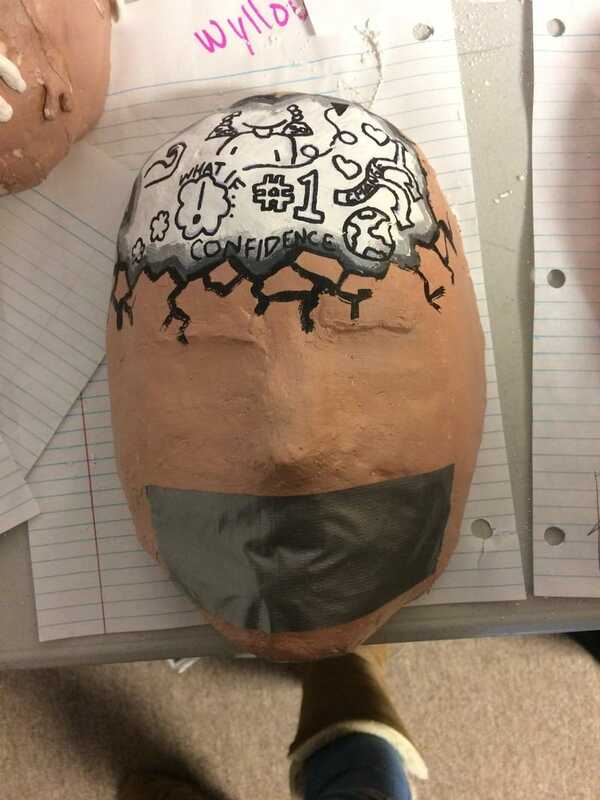 We had to use our knowledge of socialization to then create a personalized mask and an esssay based on a particular prompt. For my mask, I created a thought bubble on my forehead with how I have been socialized in the thought bubble. I also put the duct tape over the mouth on my mask because I am quiet about the things going on in my head. For my essay, my prompt was "What is the perfect person?" We had to write a piece that describes, in copious detail, what the agents of socialization say the perfect person is. After we created our individual final products, the whole 9th grade collaborated in creating a mindblowing exhibition!